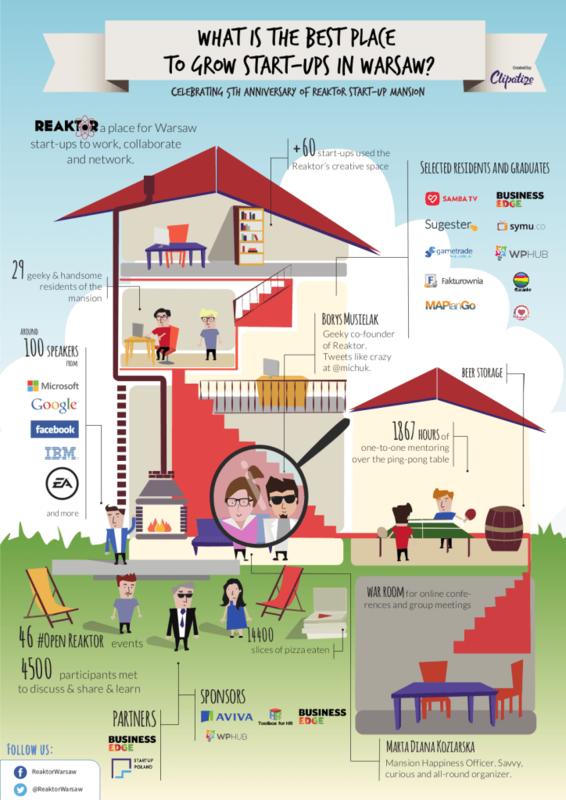 The Warsaw-based mansion for startups is throwing their fifth birthday party! On July 30th, all startup world is gathering for a celebration at Reaktor – an old-fashioned Żoliborz-based mansion, where startups and freelance developers regularly work, collaborate and network. They have a good reason for that – Reaktor has just turned 5. At the moment, the villa is home to ten companies, but if you count all of them over the last five years, the amount exceeds 60. What brings them here? The founders explain it’s all about the unique atmosphere, a favorable environment to talk to others about your ideas; here people will listen to you and will be interested in what you to say. They didn’t have any funding, not even startups to fill the rooms. No sponsors. Nobody wanted to invest money in this “fresh idea”. Nowadays, there is no such a place in Poland like Reaktor. Of course, there are coworking spaces, but there is nothing similar to Reaktor. “Maybe we didn’t expect it to grow so big.” Borys points out with a smile. During the past few years, many other local and global coworking spaces started their activities in Poland, including Campus Warsaw, Google’s space for startups started their operation almost a year ago. However, Reaktor Warsaw is still keeping its place among startupers and OpenReaktor events are getting better and better. Same as the previous year, Ballantine’s drinks and cocktails will be served at the event, and thanks to Aviva, Fakturownia and Toolbox for HR, as year’s partners, the 5th birthday of Reaktor Warsaw is going to be Legen wait for it dary. Reserve your tickets here: 5thReaktorBirthday!